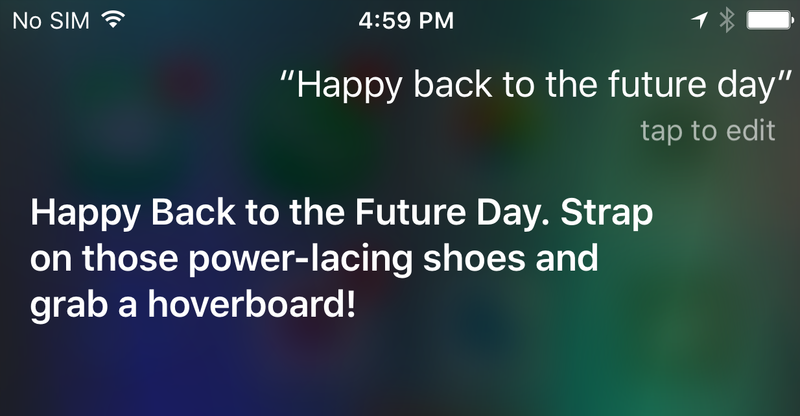 Everyone’s busy celebrating Back to the Future day, including the brands, which have come out in force to show off their thirst. 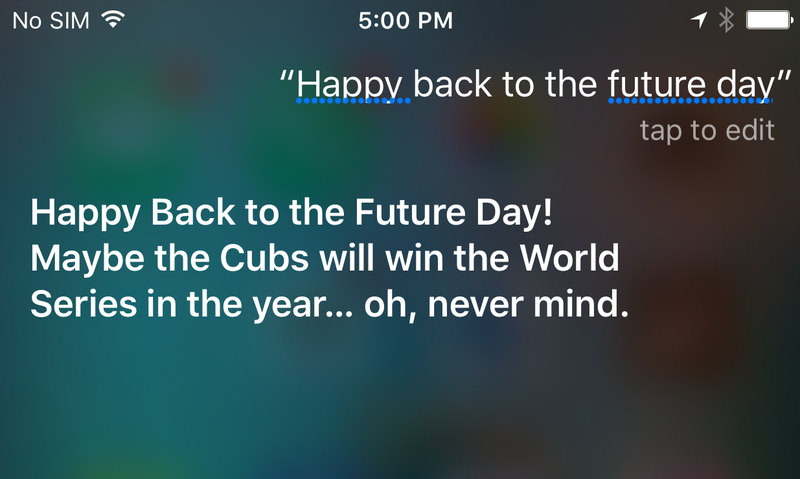 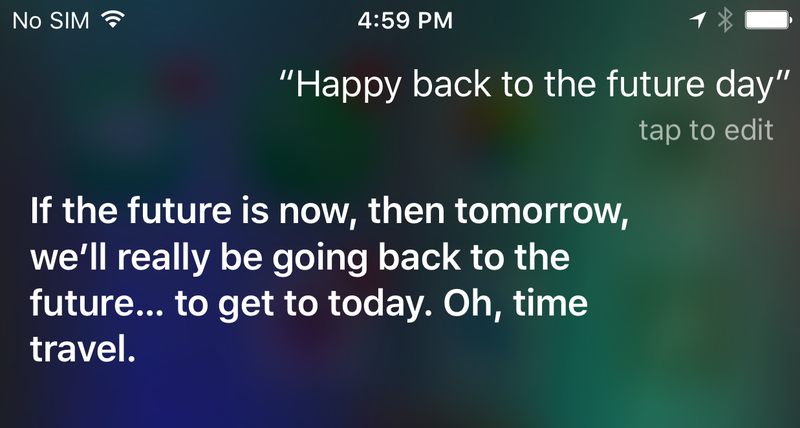 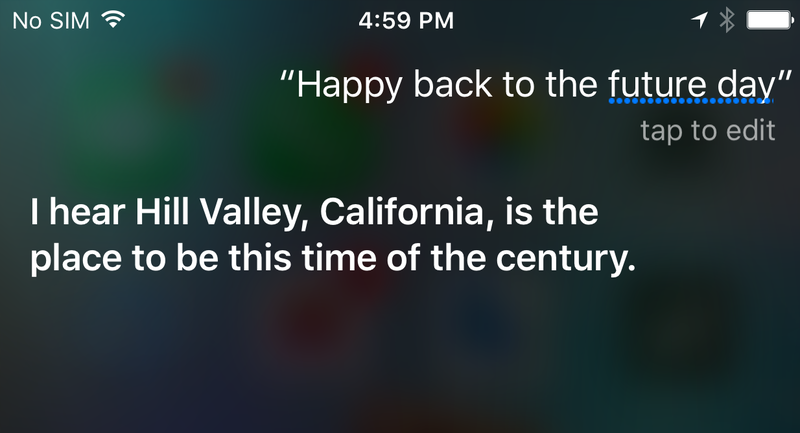 Apple’s voice assistant, Siri, knows all about Back to the Future Day too. 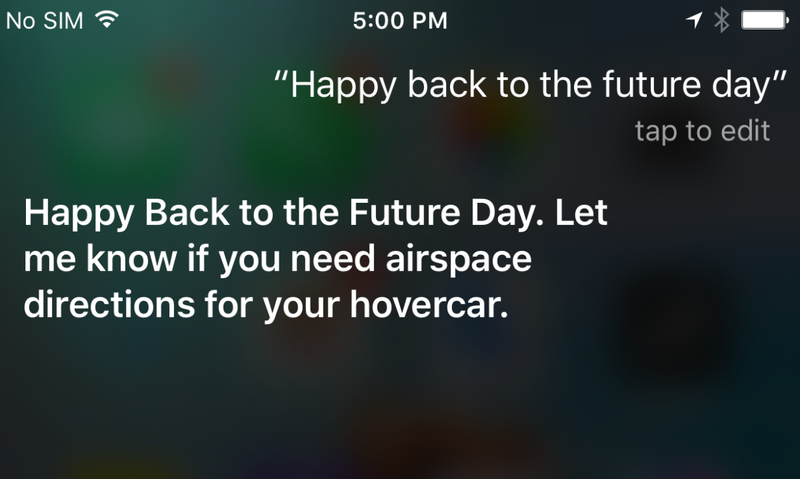 If you say ‘Happy Back to the Future day’ she’ll come back with a number of quips relating to the movies.